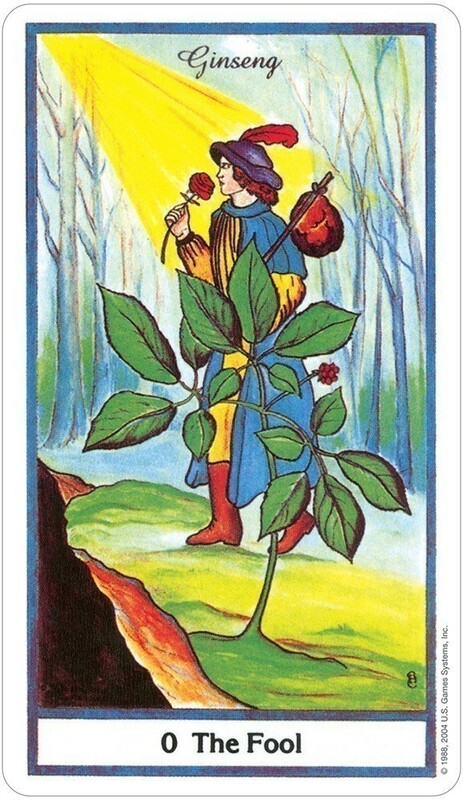 The Herbal deck is beautifully illustrated. 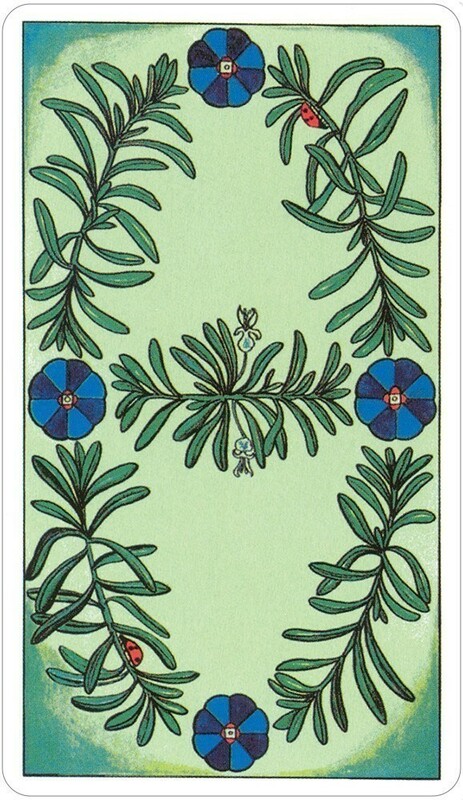 For example, the backs of the cards have a sea-green background with a rosemary border. As if marking elemental corners, there are four eight-petal flowers in blue, as well as two red ladybugs and two white flowers. 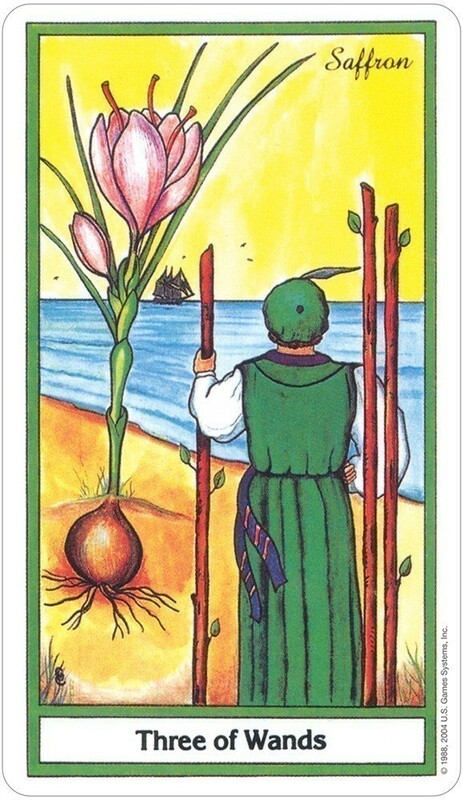 The illustration of the cards themselves are done with the traditional meaning attributed, but also with the herb/plant/flower which attunes to the card. I find this to be even more helpful in understanding the meaning of particular cards. 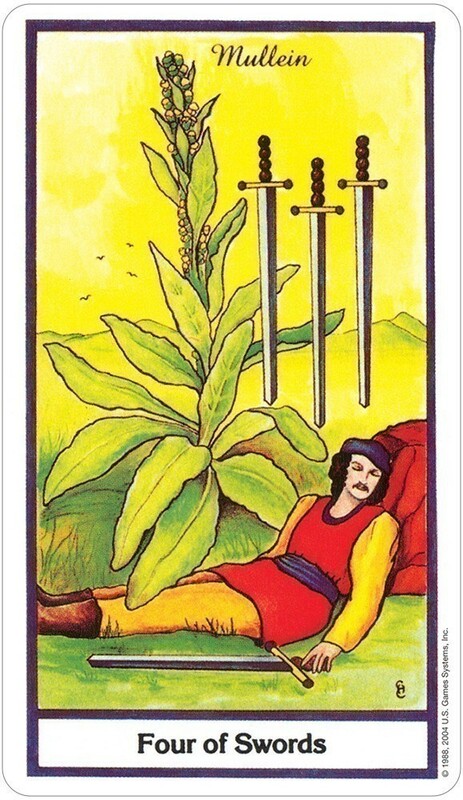 For example, the Tower is represented with garlic, Knight of Wands by aconite, Four of Swords by mullein, Ace of Wands by yarrow. Each of these adds an additional "feel" to the cards that I find are not present in traditional decks. 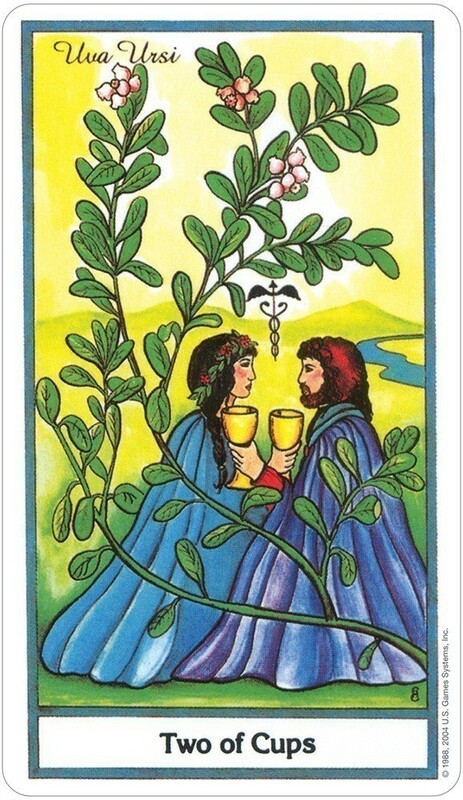 I would recommend that anyone who is interested in both the Tarot and herbs to seek out this deck. 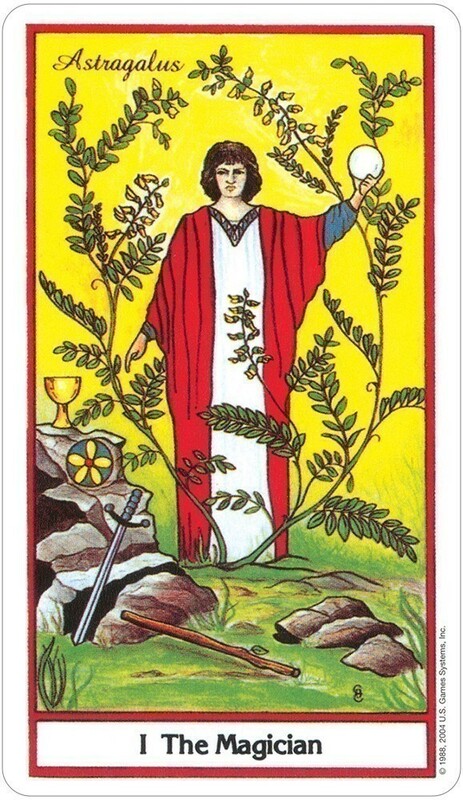 I do a lot of readings for other people and Herbal Tarot remains one of my favorite decks. I long ago lost the little booklet that came with the deck, nor did I purchase a set with a detailed book. 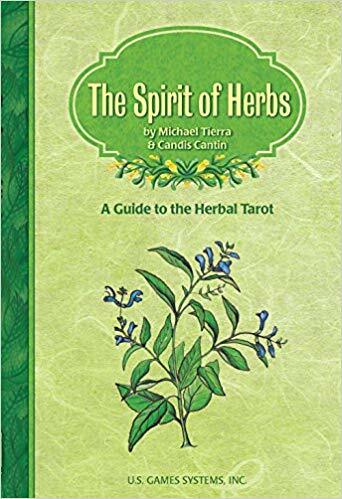 Instead I cross-reference this deck with my large herbal reference book. It has given me startling insights into the physical health of those I'm reading for. In addition, the magical and mythical backgrounds of the herbs add an extra dimension to the reading. 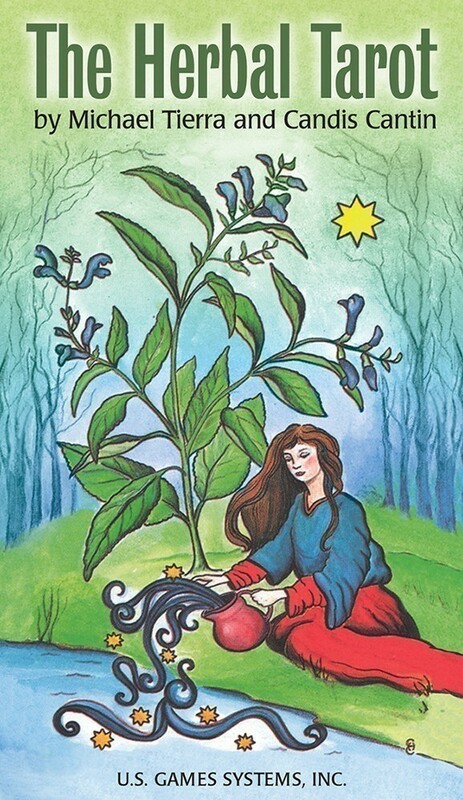 I typically follow the same card interpretations that I would with any other deck and read intuitively, but I find that the herbs add so much. I feel I see the whole picture with this deck. What a lovely deck this is! 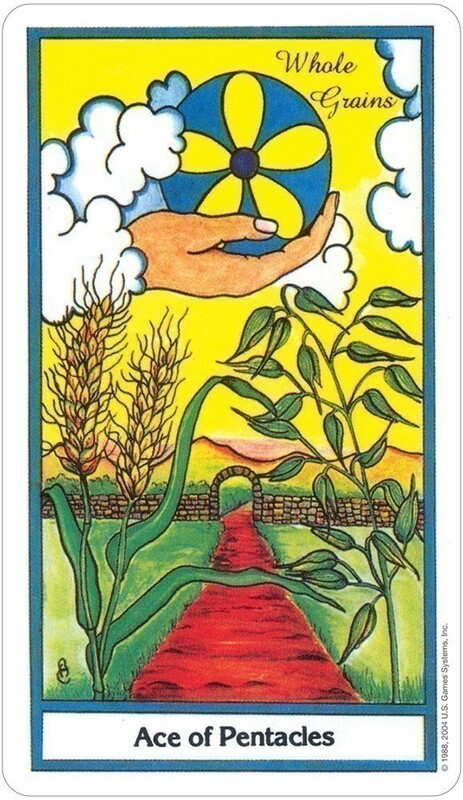 Herbal Tarot makes you feel good to even use it. Based on the original Rider-Waite deck with an earthy twist! I recommend this deck to all nature & plant fanciers and especially herbal growers and lovers everywhere! I learned from a friend with this deck and loved it. I thought the pictures were very clear & revealing. I liked how the herbal remedies overlapped & brought meaning with the readings. The descriptions seemed right on and very accurate. They definitely were very insightful. I'm addicted.